I'd advocate for driving your car on a largely stock setup. Get out on track and learn to be safe before you worry about anything else. Your car has more to offer than you can extract anyway. Don't raise its level until you raise yours. You'll appreciate the changes more and get more out of them. 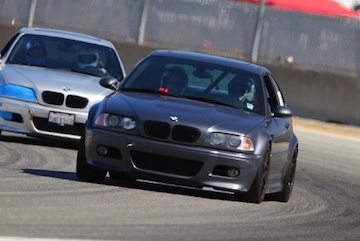 Save the money for tires, brake pads and track time. If he has a dedicated team suspension technician - maybe. Most Novices lack them though. Any other suggestions for a good entry level track oriented set of dampers? Tck sa i think is a good start butI feel i can get alot more performance if i go into the 3k range? Also concerend if the tck would go as low as id like. Might just wait and get a used set of something off someone. If anyone got any nice dampers for sale lmk! You forgot the pro coach and the pit crew. If OP was serious, any shock that isn't blown and a camber plate to save tires is more than enough. But what do I know, just get either a 4-way remote Moton or the PSi Ohlins to pass those pesky Miatas. I kinda like the MCS 1WNR. According to Vorschlag, they can be upgraded to external reservoir later on if the need arises. I heard the upgrade to cans isnt worth it price wise going from 1wnr. Ive just about ruled out reservoirs. Too much $ for something i dont need atm. If im going 2 way remote i might aswell just go 3 way and get all rebound/commpression adjustment my little heart desires. But im not doing that. I'm against premium dampers WITHOUT external resevoirs. MCS/JRZ singles will get the job done, but they are handicapped. Why spend 3k and still leave the biggest benefit on the table in the name of saving money? Many people end up adding them down the road which is a nice feature about the MCS platform but then you will be starting over in terms of setup and you'll be way over your initial budget. TCK are the answer IF street comfort is a priority. Being a low-pressure twin tube, they gain ride quality from what they give up to a high pressure monotube on the absolute edge. They are the best all-around setup but from your description I don't think it's the best option for your application. Anything higher than a 600lb spring and they aren't in their sweet spot anymore. KW v3 and clubsport are pretty good but they are simply out of their league vs. other offerings in this price bracket. I have the Ohlins, but again they are not the best choice for you since you want to convert them for track spec. Last edited by twentyseven; Wed, Jan-09-2019 at 08:36:21 PM. @27 interesting suggestion w the pss10. I think you see what predicement im in here. Everything feels like a compromise or not what im looking for or too much $ for what im getting. I agree with the first comment regarding higher end dampers w/o cans. Based on some other threads regarding jrz/mcs the one thing ive noticed is everyone ends up wanting cans later on. All times are GMT. The time now is 08:07:23 AM.